Bean salads, pasta salads, fresh healthy green salads and much more! A comprehensive collection of healthy, fun and creative salad recipes, including green salads, macaroni salads, bean salads, pasta salads, quinoa salads and more. Most of these are healthy and low-fat, and all of these recipes for salads are vegetarian and meatless, and most are vegan as well. Green salads are what we usually think of when we hear the word salad. 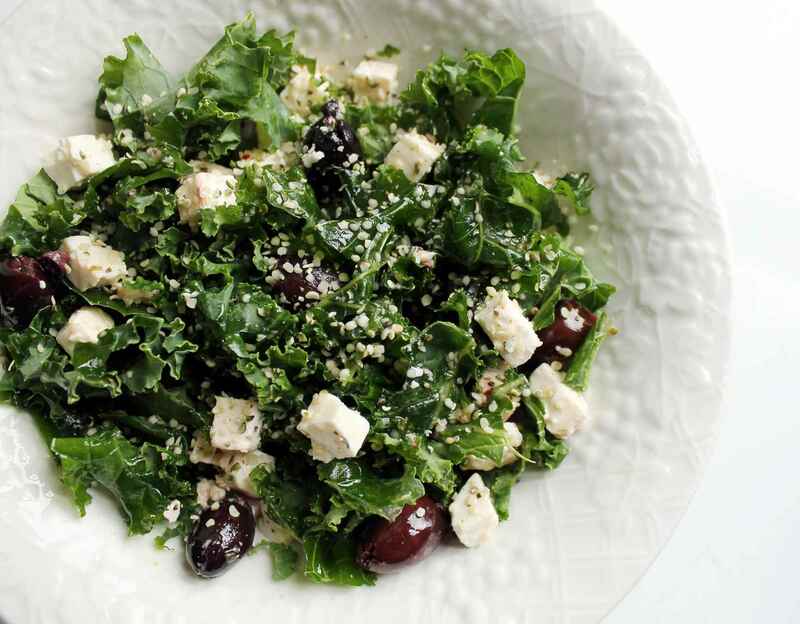 This collection of healthy green salad ideas includes plenty of spinach salad recipes, arugula recipes, and green salads using other lettuce types, including romaine, mixed greens, and iceburg. Most of these vegetarian and vegan salads can be made with any kind of green that you prefer, so use your favorite! Beyond just your basic three bean salad, scroll through this collection of recipes for salad using edamame (fresh green soy beans), black beans, kidney beans. There's a mango bean salad and even Morroccan bean salad using fresh mint. Surely you'll find something inspiring in this collection! Bean salads are particularly great for lunchtime meals and for vegetarians and vegans in particular (or anyone just trying to eat less meat), as they provide a healthy low-fat source of protein and a great fiber boost. Healthy vegetarian pasta salads and macaroni salads are limited only by your imagination and can be a side dish or the entree of a light vegetarian lunch. No picnic or potluck is complete without at least one pasta salad, so make sure yours really stands out from the crowd by choosing one of these fun and creative meatless pasta salad recipes. Potato salads are, along with apple pie and veggie burgers for us vegetarians, one of those quintessential American foods; a virtual necessity at any outdoor eating event, be it a potluck, picnic, barbecue or just a summer afternoon. Though usually doused in fatty mayonnaise, potato salads can be light and healthy too. Scroll through this collection of dozens of vegetarian and vegan potato salad recipes including a hot German-style potato salad (pictured), American deli-style potato salads, healthy potato salads without mayo and more. Top your healthy green salad off with a homemade salad dressing! Store bought is convenient, but if you read the label, you'll be hard-pressed to find a store-bought salad dressing that isn't full of high-fructose corn syrup, processed oils, or worse! Making your own at home, you can use fresh, quality ingredients and at half the price as well. And most homemade salad dressing recipes are fairly simple to prepare. Browse through these dozens of salad dressing recipes to find vinaigrettes, goddess dressing recipes, low-fat dressings, ranch dressing recipes and more.